What is the process of buying a Thermomix? How much is a Thermomix? What is the difference between the standard and connected Thermomix? Can I buy Thermomix on finance? Did you know we offer a Gift List Service? Can I buy a Thermomix without a demonstration? Can I purchase a Thermomix if I don’t live in UK? 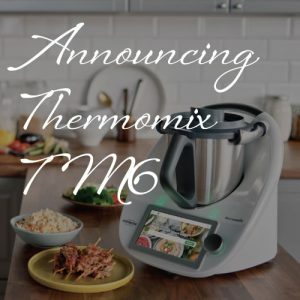 What is the Connected Thermomix? What is the Solo Cook-Key? 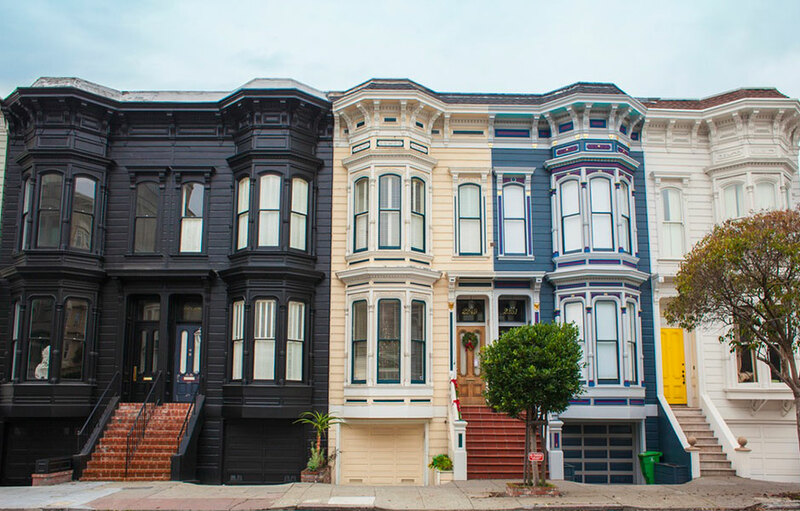 Do you have an Advisor Discount? The ultimate cooking appliance which combines 12 appliances in one, it’s a culinary dream. Use it to weigh, chop, blend, grind, grate, cook, steam, whisk, emulsify, knead and much more – all within one compact and glossy machine. With a colour touchscreen that beautifully displays digital recipes and guided cooking (making your life easier after long days on your feet), it’s perfect for a second pair of hands in the kitchen. Despite its outstanding range of use, an initiative interface and touchscreen makes the machine easy and simple to control. When it comes to Thermomix, seeing is believing. Book your free cooking experience workshop. Usually people see a Thermomix demonstration (also called Cooking Experience) first before purchasing and then buy a Thermomix. You can also purchase without a demonstration but your purchase does need to be linked to an Advisor for your after sales support. The price of the Thermomix varies depending on the country. In the UK, the Connected Thermomix with Cook Key is £1049. The standard Thermomix is £964. Either product can be bought with one payment by Visa, MasterCard or Bank Transfer or with Ikano finance. Please contact me for further explanation or information. The standard Thermomix (£964) is what we used to sell when the Thermomix was first launched in September 2014. It was the Thermomix TM5 with recipe chip. The basic cookbook was included (166 recipes) and if you wanted more recipes, then they would be purchased separately. When the Cook Key was introduced in September 2017 in the UK, this superseded the recipe chips as a Connected Thermomix (£1049) gave you access to Cookidoo and it’s 26,000 recipes online. Vorwerk are a really wonderful and fair company. The rollout of the Cook Key was planned that any previous Thermomix owner could upgrade and purchase a Cook Key for £85 and not be any worse off financially (£964 + £85 = £1049) This solo Cook-Key price was valid for the 6 months, so all Thermomix owners essentially paid the same price. After that, the cost of a solo Cook Key is £109. We still quote both prices, to give consumers choice. 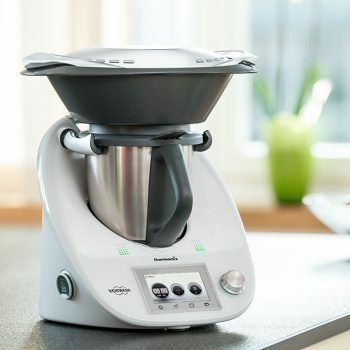 However, since the Connected Thermomix’s introduction we generally sell Connected Thermomixes to 99.9% of domestic users. The only users of Standard versions tend to be commercial chefs and restaurants who don’t use the recipe platform. Note: (January 2019) Recipe chips are no longer being produced by Vorwerk. All new cookbooks will only be available in hardcopy and on Cookidoo via the Cook Key. 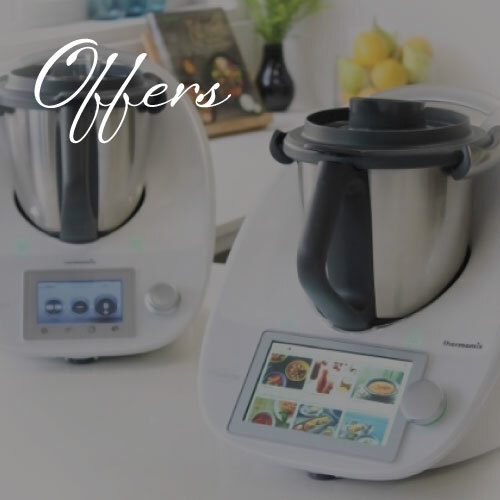 Thermomix UK have been offering the Ikano Finance Plan since November 2016 and almost 50% of UK sales are done with Ikano every day. The Thermomix Finance Plan is ideal for customers as you can enjoy having a Thermomix in your kitchen for as little as £34 a month. Spread the cost over 36, 24 or 12 months. This is our most affordable Thermomix finance plan at just 9.9% APR. Now, as your number crunching Advisor, I’m a little geeky so I’ve done the calculations. This interest works out to approximately £4 a month; roughly the cost of a Costa Coffee, a sandwich from Pret, half a bento set from Itsu or a burger from GBK per month. Not heard of Ikano? Surely not. Ikano Bank. Ikano Bank is owned by the family that founded IKEA and share the same values. They been providing finance products in the UK for 20 years and work with some of the biggest names on the high street (see picture below). We’ve all seen the DFS adverts on TV. Well Ikano finance them too. You will receive a confirmation email and text asking you to log onto Ikano’s online portal to sign your agreement from (eSignature). You will then receive an Ikano welcome pack by email after your eSignature. If you place your order and confirm everything by 2pm, you will receive your Thermomix with 2-3 days. 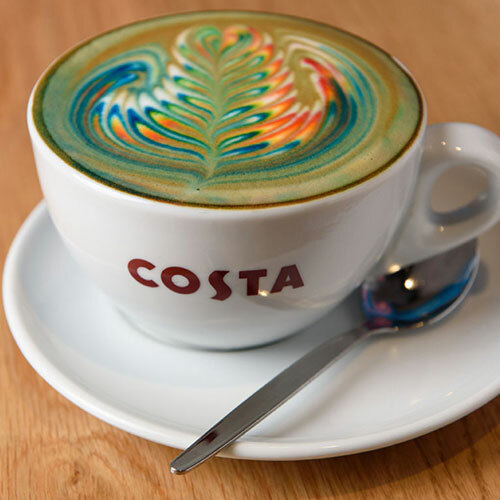 So, the final question is would you rather have a cup of coffee or a Thermomix? Thermomix is multi-functions. There’s no need to buy a number of different food processors; Thermomix does it all. Please have a look at my customer testimonials for user experience. 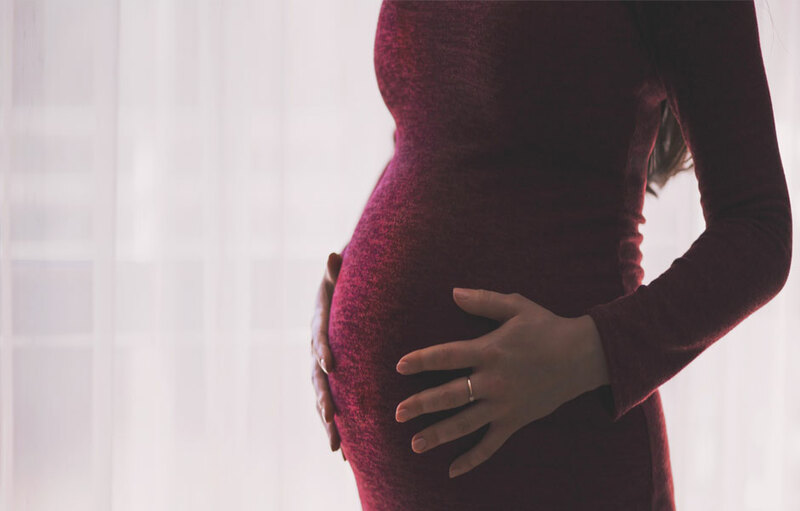 No matter what milestone you’re celebrating, from a wedding or civil partnership to a ‘big’ birthday or anniversary, baby shower and housewarming, putting together a Gift List for a Thermomix purchase is easy and exciting. Your guests will love to know they are contributing to something you will cherish and use for many years to come. Many of my own customers hear, how Thermomix is the number one wedding present in Europe. True. My Polish sister-in-law, Emilia, was given one. And she’s not the only one. I’ve lost count how many French, German, Spanish customers have also been gifted Thermomixes for their nuptials since I’ve started demonstrating in London. Italy and Portugal too, but of course, they know the Thermomix as Bimby. Why? 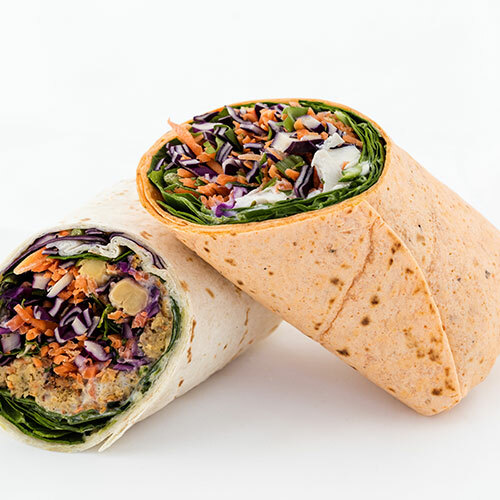 Well, since its one appliance that does it all – chopping, mixing, mincing, grinding, kneading, whipping and juicing, as well as cooking, stirring and weighing ingredients – then its really the only thing you would need in the kitchen. There really is nothing really like a Thermomix as a wedding gift, housewarming present, for a new baby or for a big birthday because this kitchen workhorse will be useful several times a week and they last forever. Not to mention the great fun newlyweds or new parents will enjoy together cooking and eating well. Remember, a Thermomix will replace more than 12 other kitchen appliances and will replace all other appliances; say goodbye to your blender, juicer, coffee-grinder, food processor, grater, kitchen scales, mincer, mixer, bread maker, ice cream maker and so much more! It cooks and steams. There really is no other appliance on the market that even comes close to offering you the benefits and value you will enjoy with a Thermomix! Just look at the stuff you can clear away? 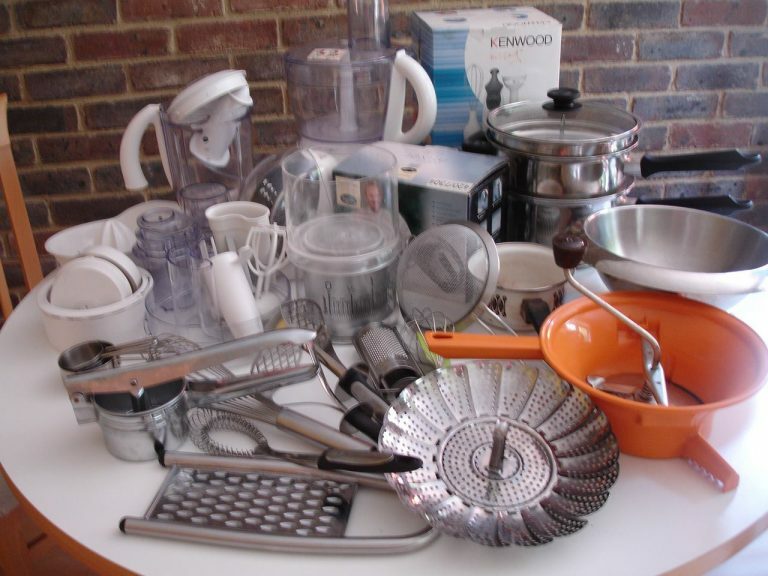 Here’s a picture of all the appliances and kitchen utensils one of my Advisors put away the day she received her Thermomix. Best of all, it is easy to use and comes with a free-demonstration and lifetime Advisor support (from me) so your friends and family can be reassured that it won’t be stuck in a cupboard gathering dust. 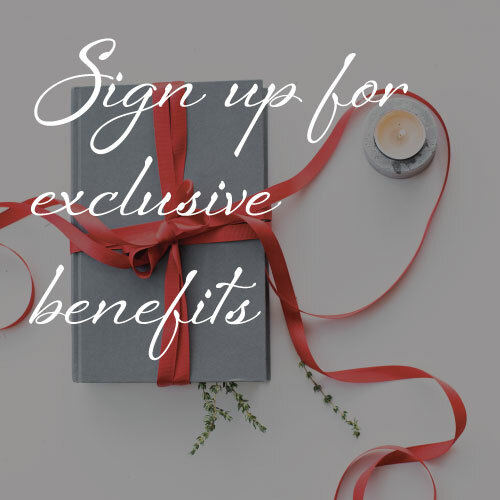 Contact me on Ankita@onegirlandherThermie.co.uk or call me on 07977 563537 to let me know you would like to register for a gift list. I will ask for some details – gift recipient (or account holder), event date and will need to authorise your card for £1 to open the account and put the paperwork in place. You will be given an Account Number and phone number for your guests to donate to your registry by calling Thermomix UK. The invoice is valid for 6 months before and 2 months after the ‘event’ date for guests to pay against. Please understand that the account holder will be responsible for settling any outstanding balances. When the Thermomix is paid in full, a member of staff will contact the account holder to arrange delivery and also provide a list of all contributors. 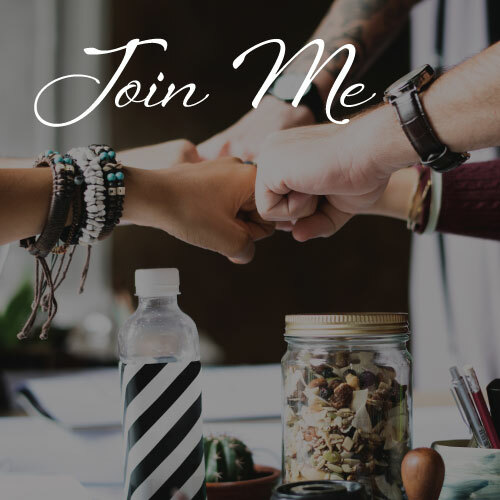 Once the gift recipient has received their Thermomix and is ready to start, I will come and show them how to get the most of your amazing gift for years to come. We recommend that you have a demonstration (also called Cooking Experience) when purchasing a Thermomix, as this is offered as part of our 5-star service by your Advisor. This ensures that you receive full instructions of how to use your Thermomix and the demonstration covers it’s unique functions. However, I understand that sometimes you may not want or need a demonstration. You might be a chef who wants one for domestic use or another Thermomix for your commercial kitchen? You might have grown up with Thermomix and now just need one since you’ve flown the nest? All Thermomix sales do need to be placed via an Advisor as we work within direct sales channels worldwide so you get the best customer service and ongoing support by your Advisor. If you still feel you don’t want a demonstration, please contact me and I would be happy to process your order. 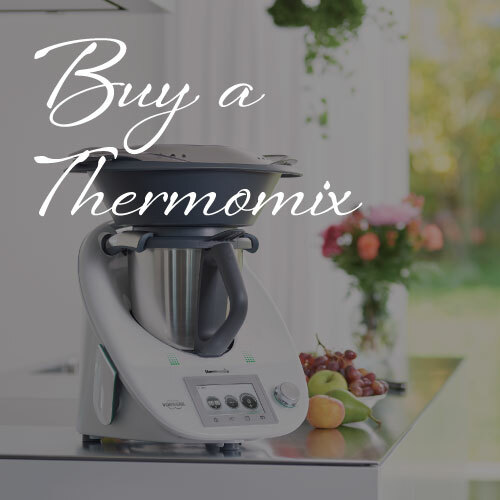 We recommend that you buy your Thermomix in the country you reside in, so you have a local Advisor to support you through your Thermomix customer journey and so that your 2-year warranty is valid in the country of your purchase. I do, however, understand that there are reasons why one would want to purchase a Thermomix if you don’t live in the UK. Perhaps you are buying a Thermomix from abroad for a family member who resides in the UK, perhaps you are a UK resident working abroad or perhaps Thermomix is not available in your home country. Please do get in touch and I will do my best to help you through these hurdles. Think of Cookidoo as the Thermomix equivalent of iTunes for music (for those youngsters amongst you, the Spotify version). Cookidoo, formerly known as the Thermomix Recipe Platform, is an online platform that provides Thermomix TM5 users to search, browse and sync recipes from their online to their Cook-Key. Thermomix TM31 can use the platform too, you just need to manually input your recipes whereas Thermomix TM5 users will use guided cooking. Users can also add personal notes to recipes. The Cook-Key is an accessory for your Thermomix TM5 that makes is easy access to all your favourite recipes on Cookidoo. It’s as simple as Browse>Synchronise>Cook. Browse Cookidoo and create personalised recipe menus or weekly planning and shopping list. Connect your Cook-Key to your Thermomix and press the sync button to synchronise. 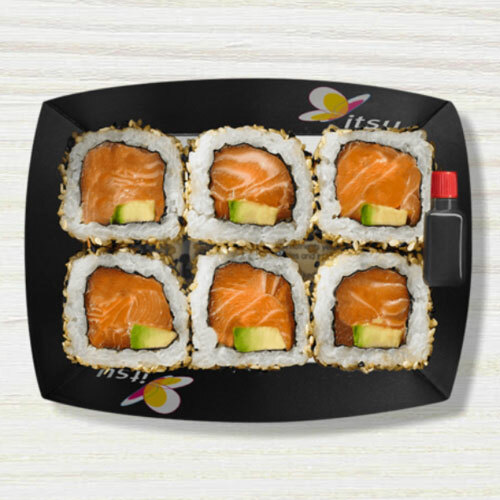 Once the synchronisation is complete you can begin cooking your chosen recipes. 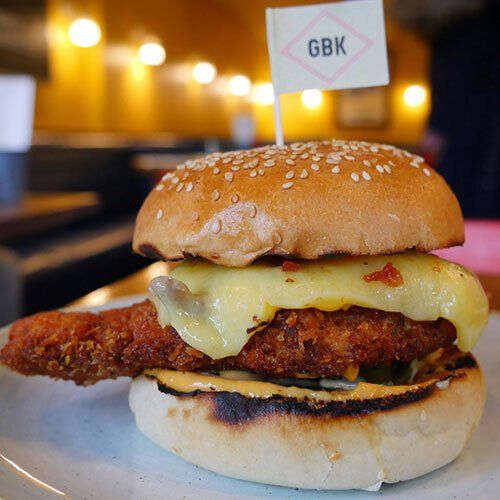 Each Cook-Key comes with an initial 6 month introduction trial period with access to over 26,000 recipes from over 12 different countries with new recipes added every week. The Connected Thermomix is the Thermomix TM5 which comes with the Cook-Key. 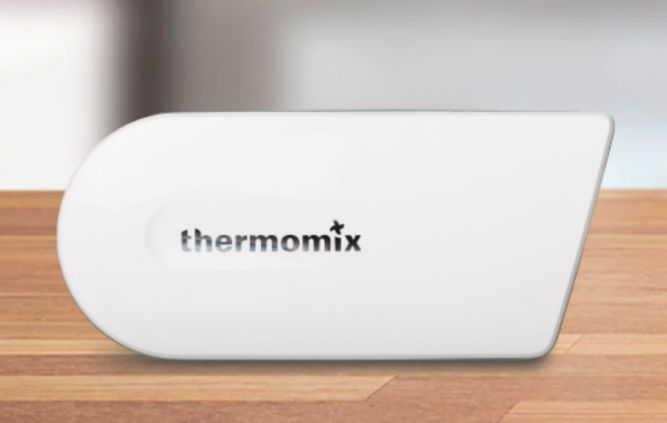 A super USB flash drive that lets the Thermomix and the Cookidoo Recipe platform talk to each other. Think of it as the key to unlocking your recipe treasure. Yes, I’m an Advisor too and I love to support colleagues. We need to look after each other. Drop me an email your advisor status with reference to your Team Leader/ Branch Manager and I will send you your unique discount code to use straight away.